Another Japanese freighter from WWII lies on her starboard side in 30 meters of water. Torpedo damage is quite extensive and the wreck is very overgrown and is almost its own mini reef. The wreck starts at 18 meters with the propeller at 30, ammunition can still be seen and very little has been removed. 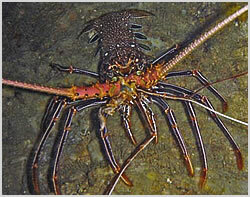 The twisted structure now forms the home of a number of critters such as rock lobster and circling barracuda and tuna.